We are a group of four information technology students, two undergrad, and two masters, from Carnegie Mellon University. 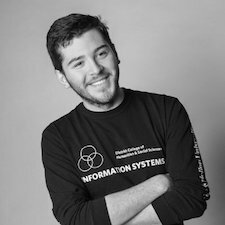 Our career paths have led us all to the Data Pipeline master course offered at the Human Computer Interaction Master Program. In this course we have learned may steps of the data pipeline, all leading to our final project which you have before you. For our final project, which we have to encompass the whole data pipeline, we chose the Yelp Dataset Challenge. We were attracted to this set due to recent publicity about ho the city of Pittsburgh is considered one of the top food cities. Our task in this project is to explore and gain some insightful insights on the data. For this purpose, we are taking on the challenge of what it takes to beat Yelp. We first wanted to see the validity of Yelp's own ranking based on number of reviews and review stars. Since we wanted to distinguish what might differentiate the top restaurants from the weaker ones, we needed to find some sort of defining the feature. Upon further exploration, we find out that star rating isn't the attribute that best defines restaurants since the majority of the top restaurants are 4 stars. So, to solve this problem we decided to take the very ambiguous ranking algorithm that Yelp uses to determine more insight about the top restaurants. To do this we scraped the Yelp website for "Best Restaurants in Pittsburgh, Pa," to determine what they are. We only received the top 100 restaurants which are more than half of the total restaurants and the rest we gave them the same ranking. Because there are over a thousand, and that in itself might not be very descriptive we added bins of size 10 to minimize the top 1000 to the top 100 bins. Once, we matched all the bands to the corresponding restaurant, we explored and implore you to explore the relationship that the top restaurants have an average rating and a number of reviews. Using Tableau we explore this, and by selecting the bins you can see correlations, For example selecting groups 0 to 5, you see how they are all in the top right. 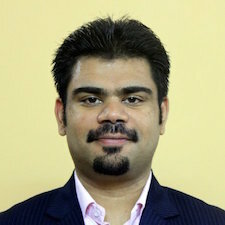 As you increase the size or go down the ranking group, the lower average number of reviews, and rating as well. 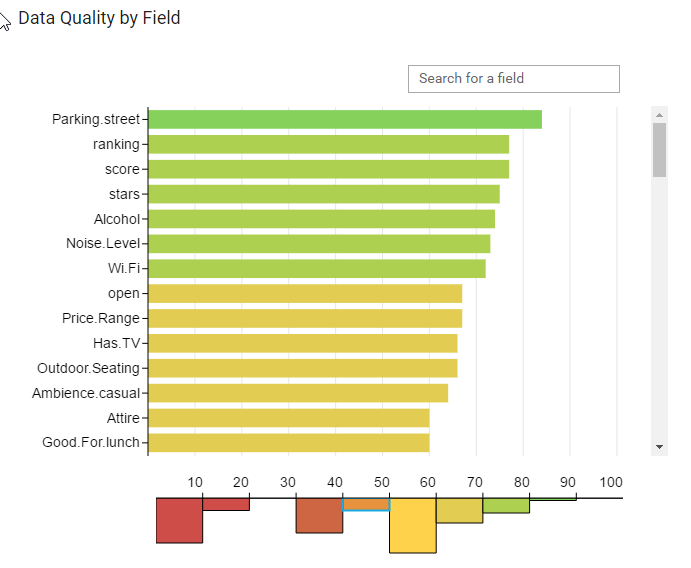 Then we wanted to explore if location had any impact on ranking of the restaurants. Lastly, we wanted to see if there was anything to be shown about the location of the restaurants. So using a map of Pittsburgh and their ranking you can explore where the top restaurants are, and where the not so high ranking restaurants are. After understanding Yelp, we dove deep into the restaurant attributes and analyzed which attributes benefitted each category the most. Yelp gives restaurants the option to add many categories, essentially making them more unique. A question that came to mind was is there some sort of similarity with the categories that restaurants have and their ranking. Since there were so many categories, to do some comprehensive analysis, we decided to use a word cloud that allows us to map the most popular categories, based on the restaurants in specific bins. So, if you select 0 to 1, you can tell that they all share the "American(new)," category. This is supposed to allow you as a user to see what are popular categories, or maybe see what is lacking from the top places. The right column tells users what the best attributes to have to achieve a higher ranking for each of the categories. In addition to the word cloud, something we had to do was extract the most important attributes of a restaurant that determine is a success and tanking. Using a Gradient Boosting Machine, we extract the top 8 features, so you can see how they do within the selected group. 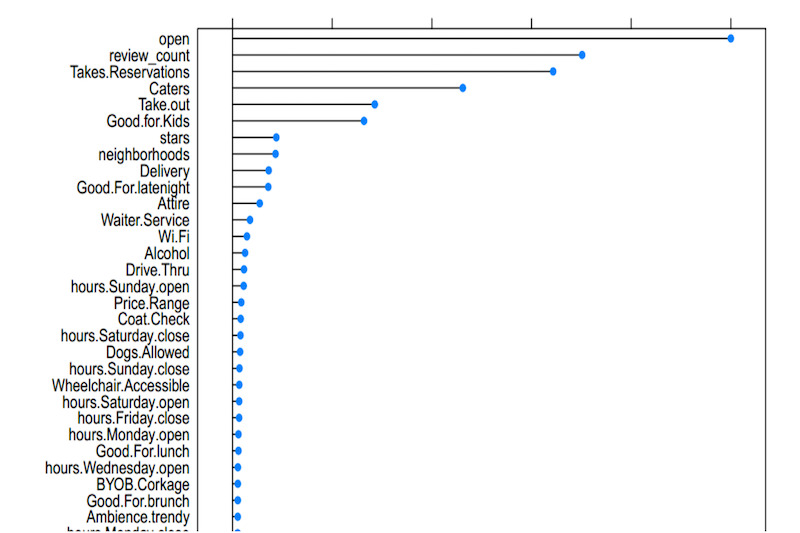 We then used a Sankey to explore which days of week people tend to checkin to each category of restaurants. Along with restaurant and review information, the yelp data set also included check-in information. Check-in information is the time that users check in manually via their phones when they are at a particular business. This information could have valuable insight, so our team decides that the best way to go about exploring the times people check in and where is with a Sankey chart using D3. We explored the top 15 most popular categories and which days of the week yelp reviewers tend to checkin the most frequently. There is no surprise that Friday had the most checkins and Sunday/Monday had the least. One surprising find was that Thursday actually had more checkins compared to Saturday. We also used a Sankey to further explore times of day people tend to checkin to each category of restaurants. In the Sankey charts below we explore the connections of checking in regards to the top 15 categories in Pittsburgh, and the time of day. Below that is another Sankey chart that connects the top 15 categories and the time of day. We can see that there is some interesting connection to be made. For example, the most expected time to check in would have been expected to be at at either lunch time or dinner time, but as it turn out it was between 4:00 pm to 5:00 pm. Another insight we learned is that Thursday and Friday are the most popular check-in time. These insights are not only interesting but, can help any restaurant owner see when the most active yelp users are. Both day of week and times of day data can be combined for users to find out when the restaurants should be at their best shape in order to achieve a higher rating/ranking. Our whole team learned a lot about web design and web development and how to present information and data to users throughout the whole project. We learned a lot about Data visualization (D3, Sankey, Tableau), Data scraping, and creating a data narrative. We learned a lot of new methods for data cleaning, dimentionality reduction, and other preprocesses. We leanred a lot about machine learning as well as gradient descent throughout this project to turn messy raw data into insightful data applications. 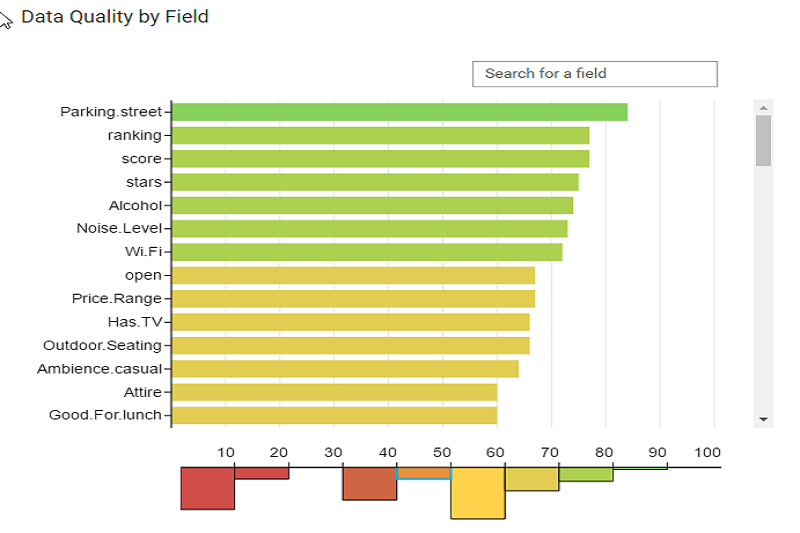 Our findings from the data show that categories of restaurants don't really affect ranking mainly because the ranking was based on the search query: "Best Restaurants"
We also learned that the top ranked restaurants are not all the same type and category, since variety is always good! We surprisingly found out that the most popular checkin days are actually Thursday and Friday and 3-5 PM are the most popular times. We learned from this project that the number of reviews, review stars, and certain features/attributes affect ranking the most. We first needed to do some initial data collection and then cleaning. 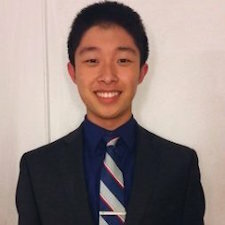 As a starting point, a python scraper was designed to scrap and convert JSON data from Yelp to CSV format for further analysis. 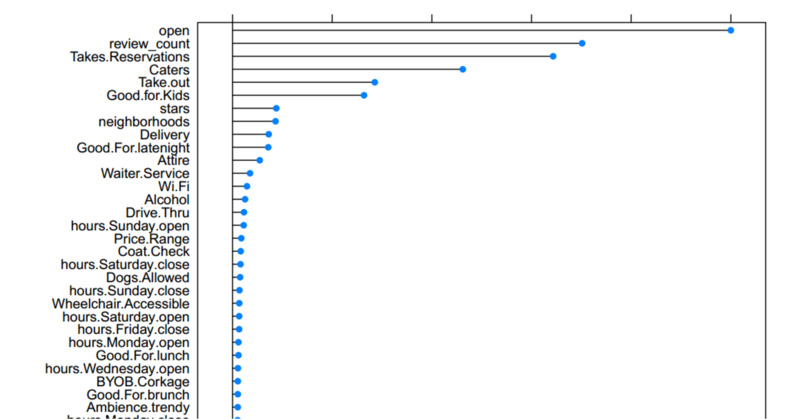 The script was further modified to create neighbour and sub categories data sets. 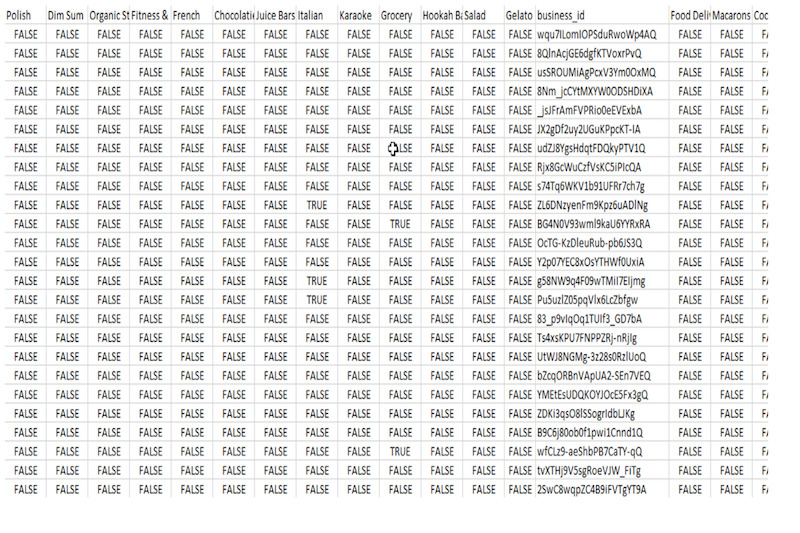 The respective data sets contained binarized columns representing neighbours and sub categories mapped to business IDs. We modelled the data that we had and did some feature selection. By and large, our product aims at generated an expecting ranking bin for a business owner for different values of the attributes selected in the model. This gave us an opportunity to leverage ensemble models to identify features that most most influence for Ranking of Restaurants. 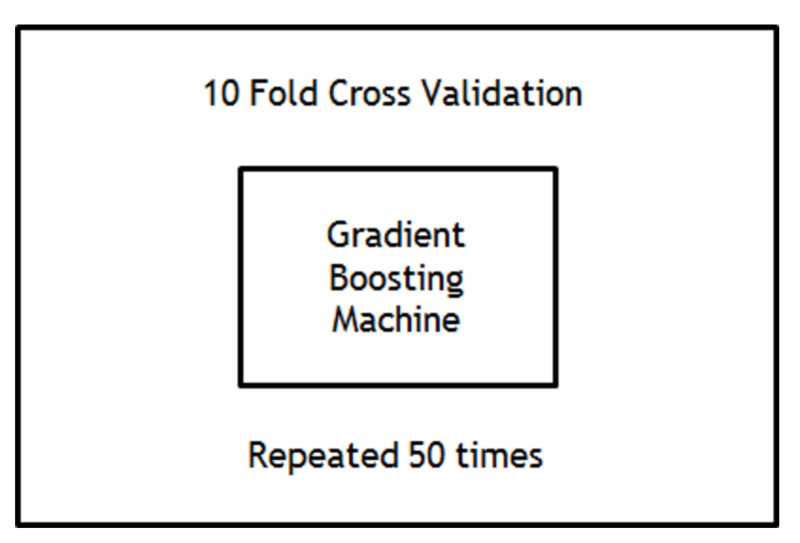 A 10-fold cross validated “Gradient Boosting Machine” was implemented to compensate for bias-variance tradeoff. By implementing the model, we identified the following variables that best affect the Rankings: An interesting insight reveals that socio economic factors dominate Rankings more than Neighbourhoods, which typically are the first choice for new business owners to look at. We used Gradient Boosting Machine to select the most important features. In gradient boosting machines, or simply, GBMs, the learning procedure consecutively fits new models to provide a more accurate estimate of the response variable. 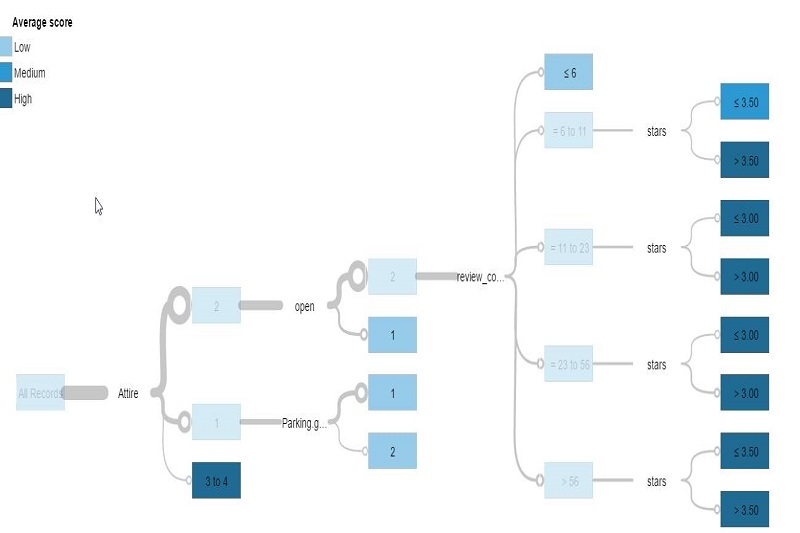 The principle idea behind this algorithm is to construct the new base-learners to be maximally correlated with the negative gradient of the loss function, associated with the whole ensemble. The loss functions applied can be arbitrary, but to give a better intuition, if the error function is the classic squared-error loss, the learning procedure would result in consecutive error-fitting. In general, the choice of the loss function is up to the researcher, with both a rich variety of loss functions derived so far and with the possibility of implementing one's own task-specific loss. This high flexibility makes the GBMs highly customizable to any particular data-driven task. 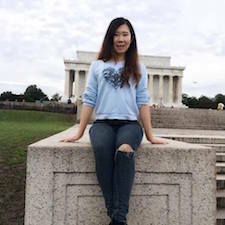 It introduces a lot of freedom into the model design thus making the choice of the most appropriate loss function a matter of trial and error. However, boosting algorithms are relatively simple to implement, which allows one to experiment with different model designs. 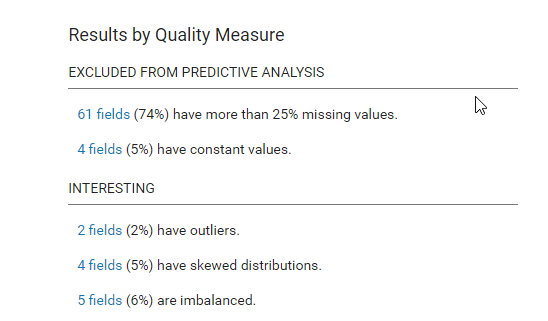 We lastly used regression on the selected features to predict rankings. Having found the optimal subset of features, we went ahead and implemented a Robust Linear Regression model using Leave One Out Cross Validation. 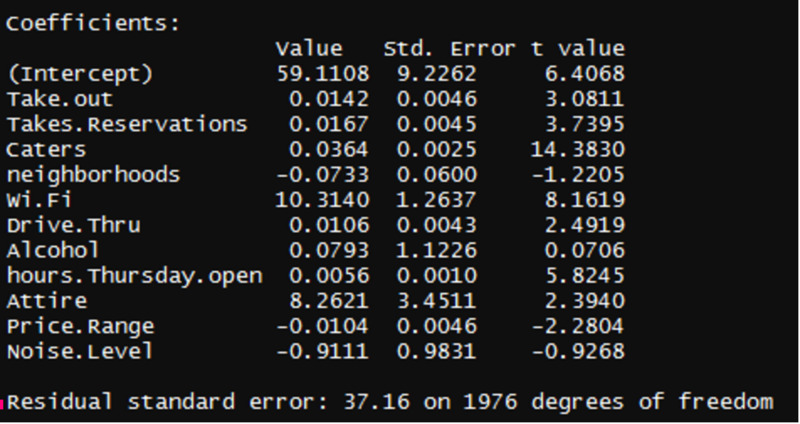 Above is the regression results that we found. 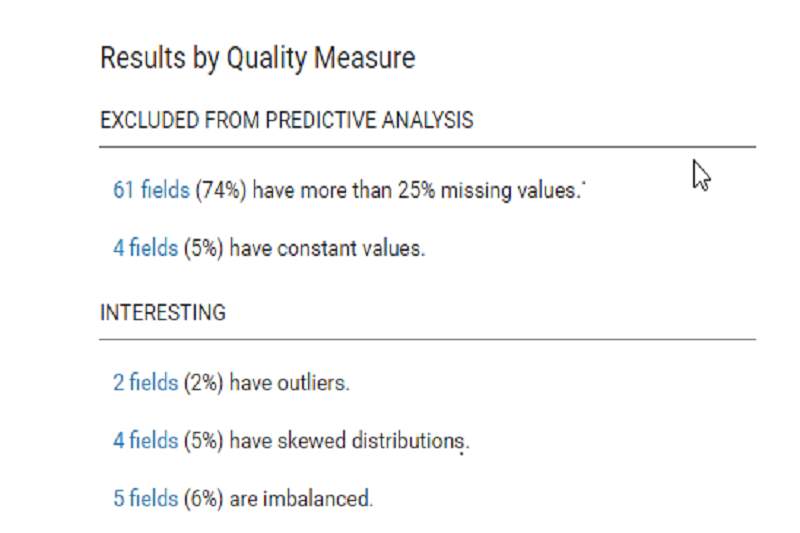 Our data set comprised of 82 variables, of which 61 fields had more than 25% missing values. 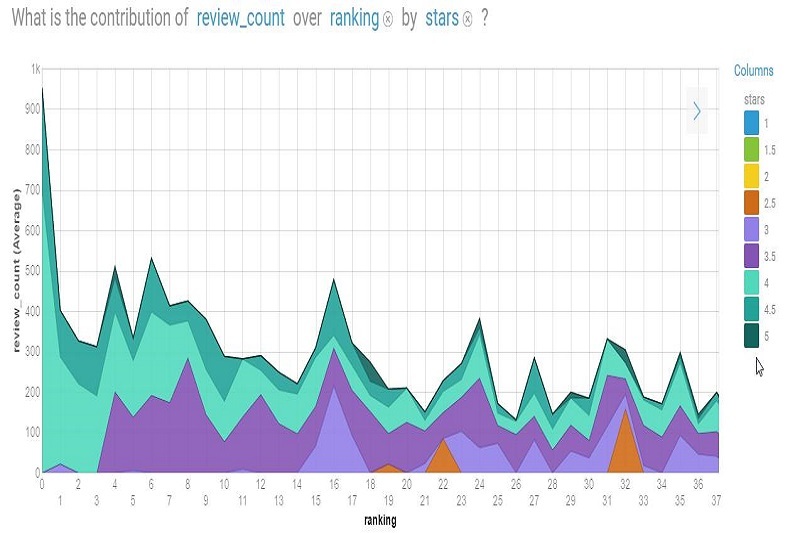 The graph indicates a strong correlation between review count and rankings for different stars given to the restaurants. The data was taken from Yelp Data Challenge and was released by Yelp. We believe the data to be correct since the data comprised of various businesses with masked IDs. Since the data has been scraped from Yelp, the data set satisfies the Accountability factor.